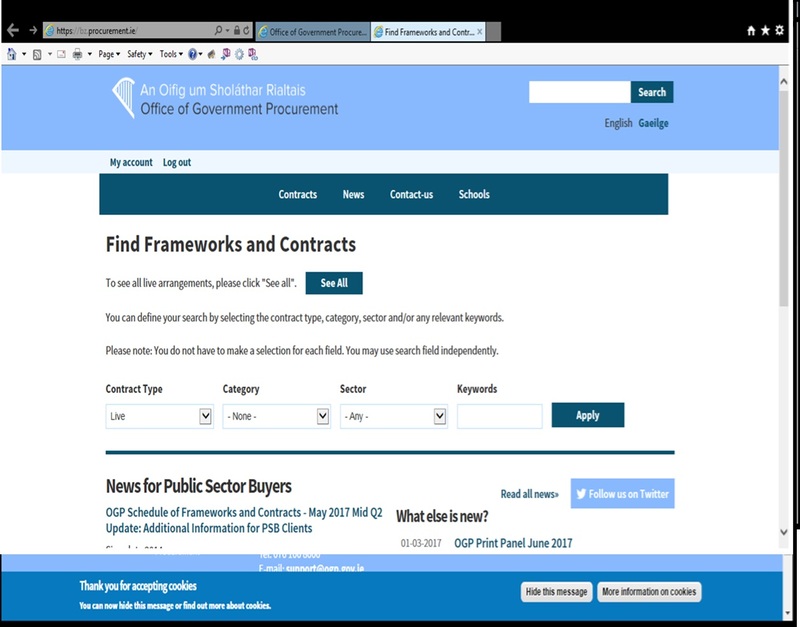 Below you will find the screen shots of how to navigate into the www.OGP.GOV.IE webpages to view and use the contracts currently in place and available to schools. Firstly you need to register your school as a buyer to gain full access. 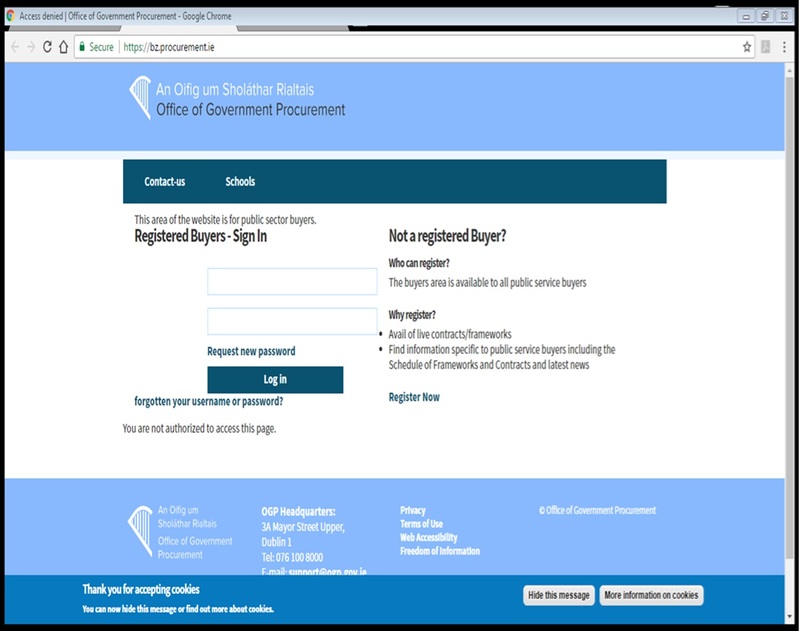 As soon as you register you will receive a bounce back as your email will not be recognised as a ‘Government’ email address, this is normal. Reply again stating that you are a school, quote your school roll number and that you would like to register as a buyer. You will receive a password prompt which will be unique to your school. Please keep it safe and only to be used by authorised personnel in the school. 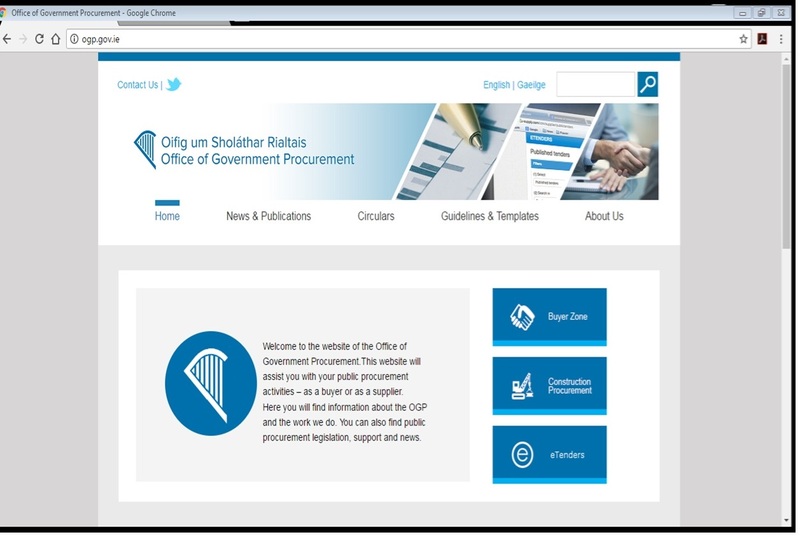 The details of all the contracts available to schools under Education Sector can be viewed. Do spend a bit of time looking at the detail of the framework you are interested in as there is quite a lot of detail on pricing, registering with a supplier, how the frameworks work etc.